Key parts of the concordat (marked in bold italic) were incorporated into the new Austrofascist Constitution. It began with the words: “In the name of God, the Almighty, from Whom all law proceeds, the Austrian people receive this Constitution for their Christian German Federal State”. This constitution also revived the double-headed eagle of the Danube Monarchy, replacing the royal symbols — crown, orb and sceptre — with haloes to symbolise this very pious fascist state. One of the principal aims of this concordat was to reclaim marriage for the Catholic Church. In 1875 the German Chancellor Otto von Bismark had introduced civil marriage as the legally binding contract, reducing clerical marriage to a purely private affair. Article 7 of the Austrian concordat partly reverses this. It makes a church wedding just as legally binding as a civil ceremony. It also forbids Catholics to use civil divorce. The state no longer allowed Catholics to go free as it did others, but obliged them to follow Church laws. After WWII, when democracy returned, the Vatican was unable to insist on this denial of civil rights to Catholics. However, large parts of this concordat were incorporated into the 1934 Austrian constitution, through its Article 30 §4 and much of this remains in force today. For example, as a result of Article 6, religious instruction in state schools is compulsory for all baptised Catholic children (unless they choose to opt out, which can cause them social difficulties). And due to a further concordat in 1962 a cross must be installed in classes wherever the majority of children are Christian. At the end of the concordat is the Secret Supplement ("Supplementary Protocol") which was designed to circumvent two different laws. ♦ The first clause goes behind the backs of the Hungarian prelates who opposed the loss of Burgenland, which was part of a diocese that had come under Austrian rule. (See "Personal Prelature") The Hungarian marriage law, which still applied in Burgenland, provided only for civil weddings, hence this secret provision for bringing that part of the diocese into conformity with Austrian law, without alerting the Hungarian hierarchy. ♦ The second clause goes behind the backs of the nations which had signed the Treaty of Saint-Germain-en-Laye. This was the counterpart for Austria of the Versailles Treaty for Germany. Like the Versailles treaty it forbade re-arming and it, too, was circumvented by a Secret Supplement, similar to the one appended to the Hitler concordat. The "Secretary of State of His Holiness" who masterminded both of these was none other than Eugenio Cardinal Pacelli, the future Pius XII. His Holiness Pope Pius XI and the Republic of Austria, united in the common desire to newly regulate in an enduring fashion the legal position of the Catholic Church in the Republic of Austria to the advantage of ecclesiastical and religious life, have resolved to enter into a solemn accord. § 1. The Republic of Austria assures and guarantees the Holy Roman Catholic Church in her different rites the free exercise of her spiritual power and the free and public exercise of the faith. § 2. It acknowledges the right of the Catholic Church, within the realm of her competence, to issue laws, decrees and appointments: it will neither hinder nor impede the exercise of this right, under the laws valid for all, to manage and regulate its own affairs independently and, within the framework of its own competence, to issue binding laws and ordinances for its members. § 3. In fulfilling their official ecclesiastical duties, the clerics are entitled to the protection of the State. § 4. In dealings and correspondence with the bishops, the clergy and the other employees of the Catholic Church in Austria, the Holy See enjoys full freedom without any exertion of influence by the Federal Government. The same holds for the dealings and correspondence of the bishops and diocesan government with the clergy and the faithful. In Austria the Catholic Church enjoys status under public law. Her individual organs, which according to Canon Law have legal personality, enjoy legal personality also under civil jurisdiction insofar as they already exist in Austria at the time this concordat comes into force. Those established in the future are to obtain legal personality under civil jurisdiction if they arise from the cooperation with the Government which is provided for in this concordat. § 1. Insofar as this is not otherwise determined in what follows, the Church provinces and dioceses are to remain as at present. Any change which becomes necessary in future must be agreed to in advance. This does not apply to slight changes made in the interest of pastoral care and for those adjustments which occur as a result of reassignment to a different parish. § 2. There is fundamental agreement that the Apostolic Administration "Innsbruck-Feldkirch" be raised to the diocese "Innsbruck-Feldkirch" with its See in Innsbruck and receives its own General Vicariate for the Vorarlberg part of the new diocese with its See in Feldkirch. The same agreement holds regarding the raising of the Apostlic Administration in Burgenland to the Praelatura Nullius with its See in Eisenstadt. The execution of this fundamental agreement is to occur through a special accord between the Holy See and the Federal Government, as soon as the necessary arrangements have been made, especially those for the future establishment of the diocese "Innsbruck-Feldkirch". § 1. The choice of archbishops and bishops, as well as of prelates nullius, is the prerogative of the Holy See. For the settlement of an archepiscopal or episcopal see (Praelatura Nullius) the individual Austrian diocesan bishops will present the Holy See with a list of suitable people, without committing it to this list. For the settlement of an archepiscopal see of Salzburg the Holy See will submit the names of three candidates to the metropolitan chaplain in Salzburg, from which in a free, secret vote, the archbishop is to make a choice. § 2. Before steps are taken to name a residing archbishop, a residing bishop or a coadjutor with the right of succession, as well as to the prelature nullius, the Holy See will inform the Austrian Federal Government of the names of prospects or those chosen, to see if it asserts claims of a general political nature against the appointment. The process pertaining to this will be strictly confidential so that until the appointment the chosen person will be kept secret. If from the time of the disclosure mentioned above, 15 days have passed without any answer, the silence will be interpreted as meaning that the Government has no objection to raise and the Holy See may make the appointment public with no further ado. § 3. The settlement of the dignities and the canonicate in the chapters will proceed according to general Canon Law. § 1. The scholarly development of the clergy takes place at the Faculties of Catholic Theology maintained by the state or at the Theological Academies established by the appropriate church bodies. The seminaries and similar Church facilities are solely answerable in terms of their arrangements to the senior Church authorities. The internal arrangements, as well as the teaching and training aspects, of the faculties for Catholic theology received from the State will be strictly regulated according to the requirements of the Apostolic Constitution, "Deus Scientiarum Dominus" of 14 Mai 1931 and the respective Church regulations. The University of Innsbruck was founded in 1562 as a Jesuit college. The concordat obliges nine of the sixteen chairs in the theological faculty to be held by Jesuits. There is also a Jesuit Church attached to the university where every year the State of Tyrol is dedicated to the Sacred Heart of Jesus. The procedures for carrying this out which turn out to be necessary due to the special character of these faculties or their position in the Federation of Universities will in each case be made in consultation with the competent Church authorities. It is agreed that the theological faculty of the University of Innsbruck, especially in respect of the composition of its teaching body retains its special [i.e., Jesuit] character. § 2. All the academic degrees bestowed at the papal universities in Rome are recognised in Austria in terms of all of their ecclesiastical and civil consequences. § 3. The appointment or accreditation of professors or tutors to the faculties of Catholic theology maintained by the State will occur only with the approval of the competent Church authorities. § 4. If, as a result, one of the above-mentioned instructors is found by the competent Church authorities no longer to be suitable for this teaching position, his permission to exercise it will be removed. In the case of such a divestiture there will be immediate provision through other channels for a suitable replacement according to the procedure stipulated in § 3. Catholic religion teachers at other institutions whose canonical mission is withdrawn must be removed from the exercise of religious instruction. § 1. The Church possesses the right to administer religious instruction and conduct religious exercises for the Catholic schoolchildren in all the primary and secondary schools. It is agreed that the diocesan ordinaries will set up consultation with the highest competent state school authorities for the establishment of religious instruction which goes beyond what obtains at present. The direction and close supervision of religious instruction and religious exercises is accorded to the Church. In general religious instruction is to be administered by clergy; in case of need lay teachers and other suitable lay persons may be used, following agreement between the Church and State school authorities. Only those may be appointed as religion teachers whom the Church authorities have declared suitable for this purpose. Giving religious instruction is dependent on having the missio canonica (Article 5. § 4). The courses of study for religious instruction will be established by the Church authorities; only those textbooks for religion may be used which have been declared permissible by the Church authorities. § 2. Insofar as the state laws concerning the lower and middle school education which are presently in force give the Church additional rights and powers, she is to keep these. § 3. The Church, her orders and congregations have the right, whilst observing the general school regulations, to establish and run schools of the kind mentioned in § 2, which, for as long as they fulfil these requirements, receive the rights of a state school. § 4. Where such schools (§ 3) have a relatively large frequency and as a result influence the number, the extension or the establishment of comparable state schools in such a way that the relevant school boards experience financial relief, these [Catholic schools] are to receive appropriate subsidies in proportion to the improvement of economic conditions. Such subsidies may, under the same conditions, also be given to schools run by Catholic groups, if and for as long as they are recognised as Catholic schools by the competent diocesan ordinary and fulfil the legal requirements for acquiring the rights of a state school. Through these measures the Catholic school system in Austria shall be promoted so as to create the conditions for the development of state Catholic schools. § 1. The Republic of Austria awards the civil legal effectiveness [state recognition] to marriages contracted under Canon Law. § 2. The banns for this marriage are carried out according to Canon Law. The Republic of Austria reserves the right to also impose state banns. § 3. The Republic of Austria recognises the jurisdiction of Church courts and authorities over actions involving the invalidity of marriage and the dispensation of a contracted but not consummated marriage. § 4. The decisions and judgments relative to these will, after they have become final, be presented before the Supreme Tribunal of the Apostolic Signature. This checks whether the regulations of Canon Law about the competence of the judge, the summons, the legal representation and the illegal nonappearance of the parties have been followed. The [already] mentioned final decisions and judgments will be forwarded with the relevant decisions of the Supreme Tribunal of the Apostolic Signature to the Austrian Supreme Court. The civil legal effect cones into force with the declaration of enforceability pronounced in a closed sitting of the Austrian Supreme Court. § 5. The Church and State courts are, in line with their competencies, to render each other legal help. § 1. The Church appointment of the military vicars is effected by the Holy See, after it has been informed in a private manner by the Federal Government whether there are any general political objections to the prospective person. The military vicar has the rank of bishop. § 2. The Church appointment of the military chaplain is effected through the military vicar after previous consultation with Federal Minister for the Armed Forces. § 3. After that the state appointment of the officials of the military vicariate is carried out in accordance with the state’s legal provisions. § 4. The military chaplains possess in the context of the Federal Armed Forces the function of parish priests. They exercise the holy office under the jurisdiction of the military vicar. The miltiary vicar will also exercise jurisdiction over the male and female clerical personnel in cases such hospitals are established. § 1. Orders and religious congregations may in the Republic of Austria, in conformity with canonical regulations be freely founded and disposed; they are not subjected by the State to any limitation respecting their location, the number – except in the instances enumerated in Article 11 § 2 – the nature of their members or respecting the mode of life in accordance with Church-approved regulations. Superiors appointed for life to establishments of orders in Austria whose members have stabilitas loci must possess Austrian citizenship. § 2. Orders and religious congregations that may be established in the future acquire legal/juridical personality for civil matters in Austria by the competent diocesan bishop (Praelatus Nullius) filing a notice with the highest state religious administration authority which, upon application, will issue a confirmation of this. In the other cases, the clauses of Article 2 of this concordat apply. § 3. The superiors of the [Church] provinces which have their legal domicile in Austria must possess Austrian citizenship. The superiors of [Church] provinces or orders which have their domicile outside of Austrian territory, even if they are citizens of other countries, have the right to themselves to visit their establishments in Austria or to have others do so. § 4. Members of orders have the right to absolve their philosophical-theological studies at the schools of their institutes or at the papal universities in Rome. § 1. The Church authorities are entitled to make appointments to Church benefices, apart from special rights of patronage and presentation which are based on special sections of Canon Law. The appointment to a benefice for which the Federation or a public fund exercises presentation rights will be effected through a list of three candidates which the diocesan ordinary will choose in accordance with the norms of Canon Law and the state religious administration authorities will announce. Immediately after the appointment of a cleric to a parish benefice the diocesan bishop (Praelatus Nullius) will inform the Government. b) have successfully completed the prescribed theological studies lasting at least three years at at a Church teaching institute for theology in Austria, at a German-language Catholic theological faculty or at a papal university in Rome. These requirements need not apply to assistant priests or to clerics temporarily employed as religion teachers in cases where both Church and State agree to this. On losing Austrian citizenship the cleric concerned will be removed from his office by the competent Church authority, in cases where, in consultation between Church and state authorities, leniency has not been granted. For public ecclesiastical service the diocesan ordinary will hire or rehire clerics who have been convicted of a crime (Article 20) only with the agreement of the Federal Government. § 1. The appointment to a Church office is effective from the day of the conferment; the competent Church authorities will inform the state religious administration authorities of this date. § 2. The administration and the enjoyment of the income from benefices of clerics who are not members of orders is to be regulated according to the norms of Canon Law; however, insofar as there is a fundamental legal claim to financial benefits from either the religion funds or state resources, during the vacancy the income is paid into the religion funds. § 1. The moveable and immoveable goods of the Church as a legal person are guaranteed within the framework of the State laws which apply to everyone. In this framework the Church has the right to acquire and possess new goods; the goods thus acquired will likewise be inviolable. § 2. The assets of the Church as a legal person will be administered and represented through the organs assigned [for this] by Canon Law; in the case of orders and congregations for the conduct of legal matters in the realm of the State the competent representative will be the local superior of the association concerned and, insofar as it concerns the legal matters of wider associations, the Superior of the relevant association. The financial conduct of the Church assets takes place under the supervision and control of the competent Church authorities. Without their agreement these assets may neither be alienated nor encumbered. Additionally, agreement of the state religious administration is required if the proposed alienation or encumbrance of basic Church assets entails the payment of subsidies or higher subsidies from public funds. The response from the state is to come before the hearing of the diocesan ordinary. § 3. The Church organs are entitled to organise and administer Church foundations. § 4. The Church as legal person will not be liable to any special tax or similar charges which are not also applicable to other legal persons. This also applies in the case of the schools described in Article 6 § 3 und § 4 Paragraph 2. The administrative affairs of the Church associations will be regulated by the Church, whereby the Church is accorded as a matter of principle the right to levy contributions; as is general in all cases which impinge upon State interests, the assessment of contributions will be made in consultation with the State authorities. To implement this policy, guidelines will be drawn up by the Church diocesan authorities in consultation with the state’s religious administration. To secure payment from the members of Church associations the Church will receive state assistance, insofar as these payments are imposed in consultation with the Government or are confirmed by other sections of the law. § 1. The Republic of Austria will always fulfil its financial duties to the Catholic Church which are based on law, treaty or special legal entitlements. § 2. Until the new regulations to be made in consultation with the Holy See [come into force] the present congrua laws [whereby the State subsidises the clergy] form the basis for the funding of the active and pensioned clerics, and with the proviso that in the case of a change in the salaries of Federal employees an analogous change is to be made for the clergy. § 3. The archbishops, diocesan bishops (Praelatus Nullius), their coaducators, auxiliary bishops and vicars-general who are not provided with a sufficient income from the funds and income of the mensa [revenue from church property] or from the religion funds or from income stemming from the Federal treasury, will be paid a suitable supplementary allowance in accordance with a treaty to be made with the Holy See, so far as the state’s financial condition allows this. § 4. As soon as the State’s financial position allows it, the new diocese "Innsbruck-Feldkirch" will receive a chapter. The number of dignitaries and canon will be determined in consultation between the Holy See and the highest state religion administration. § 5. Insofar as the funds of the metropolitan and cathedral churches should prove insufficient for the maintenance of the mentioned church buildings, for the costs of the services and the wages of the necessary lay persons at these churches, the Federation, after checking the circumstances, will contribute to covering the expenses in line at least with its presentation heretofore and proportionate to the state’s financial ability to contribute. § 6. The Federation will award suitable supplementary funding to the seminaries for priests which have been established in conformity with the regulations of the Church law books, as heretofore in line with the state’s financial ability to pay, the new regulation of which will be decided in consultation with the Holy See. The accounting duty to the Federation remains untouched by such allocations. § 7. The establishment of Church positions for which a congrua supplement from the Federation is striven for requires the agreement of the highest state religion administration which, if required, will also confirm the juridical personality of the newly established positions for the sphere of the State. By contrast, Church positions for which the Federation makes no congrua payments, may be freely established or altered; if in the latter cases the newly established positions are also to be accorded legal personality in the sphere of the state, the competent diocesan bishop (Praelatus Nullius) will deposit an announcement about the completed establishment which serves as a confirmation of this. Changes to parish boundaries are the prerogative of diocesan ordinaries. The highest state religion authority reserves the right to initiate changes which promote economy and which are deemed factually justifiable. § 9. The religion funds have an ecclesiastical character; they are juridical persons and will, until further notice, as in the past, be administered by the Federation in the name of the Church. There is to be no change in the relationship between the religion funds and the Federal Treasury, specifically also in terms of the latter’s duty of financial supplementation. The local chaplain and clerics who represent him are assured the right of free access to the institutional inmates for the exercise of his clerical office to those persons staying in public hospitals, convalescent and care homes and similar institutions, as well as in prisons, penal institutions, workhouses, juvenile detention centres and similar institutions, insofar as in consultation with the competent diocesan ordinary a separate institutional chaplaincy has not been established for the individual institutions. It is agreed that in the case of the establishment of a separate institutional chaplaincy the appointment of the cleric concerned is effected in consultation with the diocesan ordinary. The income which the clerical force enjoys from its office is to the same extent free of distraint as the income of the employees of the Federation. Clerics cannot be asked by courts or other authorities to reveal information about people or things which they have received under the seal of official clerical secrecy. Clerics and members of orders are freed of jury duty [Geschworenen- und Schöffenamt]. In the case of the criminal conviction of a cleric or member of an order the State court must immediately inform the diocesan ordinary responsible for the convicted person and as soon as possible impart the result of the preliminary hearing and, if applicable, the court’s final judgment in both the first instance and the court of appeal. In the case of arrest and retention in custody the cleric (order member) shall be treated with the consideration befitting his profession and his rank in the hierarchy. In the case of an unconditionally legally binding judgment against a cleric due to a crime, without prejudice to sundry legal consequences resulting from the criminal code, if the diocesan ordinary doesn’t remove him from his office, the Federal Government will act to suspend the donation (congrua supplement) coming to him. The use of the garb of clerics or members of orders by lay persons or by clerics or members of orders to whom this has been forbidden by the competent Church authorities through a final decree, who for this purpose are officially disclosed to the State authorities, is forbidden under the same penalties and punishments as forbid the misuse of military uniforms and is to be punished. All other matters relating to ecclesiastical persons or things which are not treated in the foregoing articles are to be regulated in accordance with the prevailing Canon Law. If in future there is any difficulty in terms of the interpretation of the foregoing articles or if the regulation of a question about ecclesiastical persons or things not treated in this concordat, which also impinges upon the sphere of the state, becomes necessary, the Holy See and the Federal Government will, in mutual agreement, come to a friendly resolution. With the coming into force of the present concordat all still valid laws and regulations, insofar as they contradict the provisions of this concordat, will expire. This concordat, whose German and Italian texts are equally valid, shall be ratified and the instruments of ratification exchanged as soon as possible. It comes into force on the day of their exchange. In witness whereof the plenipotentiaries have signed the present concordat. At the Vatican State on 5 July 1933. With reference to the Concordat between the Holy See and the Republic of Austria signed in the Vatican State on 5 June 1933 the dignitaries concluding the Concordat have released the following explanations, which are to be counted as an integral part of the Concordat. To Article 4. § 2. it is explained that if the Austrian Federal Government should raise an objection of a general political nature, the attempt is to be made to reach an agreement between the Holy See and the Federal Government analogous to the provision of Article 23. § 2 of the concordat; if this attempt is not successful, the Holy See’s selection becomes free. The same applies for the appointment of a coadjucator with succession rights for an Austrian archbishop or bishop or a Prelatus Nullius. To Article 5. § 1 Paragraph 3. After a hearing with the competent diocesan bishops, the highest state education authorities are to determine from which Church theological schools a transfer during the course of study can be made to a Catholic theological faculty maintained by the State, after fulfilling the regular university admission requirements. With a view to this the Holy See will also make provision to adjust if possible the essential features of the course of study of these Church schools to those of the Catholic theological faculties maintained by the State. To Article 5. § 2. Doctorates in theological specialties which have been earned at papal universities are valid in Austria, insofar as this does not concern the exercise of a secular profession. To Article 5. § 4. If a professor who has been removed from his teaching duties in conformity with this concordat regulation finds no other state position, he will be placed in retirement as a Federal [state] teacher and be awarded the pension to which his duration of employment entitles him, and at the very least the minimum pension, so long as, in accordance with the other state regulations, he has never put into effect his entitlement to the pension. The same obtains for the Catholic religion teachers at the state middle schools. The clause about the provision for a commensurate compensation is to be applied in an analogous fashion to these teachers. To Artikel 6. § 1 Paragraph 1. To prevent misunderstandings it is stated that to the lower and middle schools, are also to counted the industrial, trade, agricultural and forestry, commercial and similar schools, including the respective schools for further education. To Article 6. § 1 Paragraph 3 Sentence 1. It is the prerogative of the religion teacher to grant dispensation from participation in religious exercises. Sentence 2. This does not preclude, that the salaries for the religion teachers be changed, in the case of a change in the analogous salaries of other teachers. To Article 6. § 2. It is agreed that the diocesan ordinaries and their representatives are entitled to complain to the state school authorities, who will take care to redress this, if there are any deplorable conditions regarding the religious-moral life of the Catholic pupils, and also if there is any prejudicial or improper influence at school, especially as concerns any injury in the classroom to their religious convictions or religious feelings. It is specially agreed that in Burgenland confessional schools are to exist as state schools. It is also agreed that in the case of a change of the organisation of the school authorities in the Federal territory [Austria] or in parts of this, the hitherto existing representation of Church interests will be adequately provided for. To Article 6. § 3. It is agreed that the ecclesiastical corporate bodies mentioned in § 3 may not be limited to appointing secular teachers if clerical teachers are available who are qualified to teach according to the state regulations, and that in carrying out the general state regulations for schools consideration will be shown in respect of any duties stemming from the regulations of the [religious] orders of the clerical teachers. To Article 7. (1) The Republic of Austria also recognises the competence of the Church authorities to proceedings in regard to the Pauline Privilege (Privilegium Paulinum). (2) The Holy See agrees that the proceedings in regard to the separation in marriage from bed and board is a matter for the state courts. (3) The Holy See will issue an instruction through the Austrian episcopate which will be binding on all dioceses (Praelatura Nullius). To Article 8. § 1. The Holy See grants that in the case of a vacancy in the office of the military chaplain, before the naming of a successor the Federal Government will in each case make known to the Holy See without obligation and in a confidential manner through diplomatic channels one or another of the persons who seem to be suitable for this. The individual diocesan bishops will also submit, analogous to the clause in Article 4. § 1 Sentence 2, a non-binding list to the Holy See. To Article 9. This article does not affect state designation of other days as days of rest. To Article 10. § 3. The Holy See will see to it that the provincial association of the religious establishments already existing, or to be set up in Austria when feasible, be brought into agreement with the national boundaries of the Republic of Austria. The Federal Government takes note of the question raised by the Holy See about a re-organisation of the parishes in the territory of the Republic of Austria which incorporate religious orders and congregations or are administered by them and, insofar as it is a matter of exchanging Benedictine parishes for secular parishes, will contribute to such an action by the competent Church authorities within the limits of the financial possibilities of the Federation. To Article 11. § 1. (1) Disagreement about whether a church or a benefice is under a patronage or, in respect to the latter, whether it falls under the free allocation right of the bishop, as well as about the question of who has a right to a church patronage or a benefice patronage, are to be decided by the Church authorities in accordance with the regulations in the Church law books. The highest state religious administration authority is to be informed of the relevant decision of the Church authorities through the transmission of an original executed copy. (2) The Holy See accepts that all disagreements about payments which are mentioned in connection with an existing patronage will be decided by the authorities in the state religion administration through the appeal process; in such controversies insofar as the continuation of the patronage itself is in dispute and no legally binding decision of the Church authorities has been made, the Holy See agrees that the authorities of the state religion administration, where there were danger in delay, enact a provisional arrangement on the basis of the hitherto existing vested rights or, insofar as these can not immediately be ascertained, [do so] on the basis of the summarily claimed actual and legal relations. To Article 13. § 2. The Holy See will instruct the diocesan ordinary that in transactions requiring intabulation [“Intabulation constitutes the unconditional acquisition of rights in the course of an annexation (entry into the land register).”], after a prior review, to add a clause to the deed, that against the rights or duties on the part of the Church to be entered into the register no objection exists, and that the representatives of the Church corporations which have concluded the transactions are competent to do this. To Article 14. The Federation grants to the associations which pursue primarily religious purposes, which constitute part of the Catholic activities and which as such are subordinate to the diocesan ordinary, full freedom in terms of their organisation and activities. The Federation will see to it that the support and development possibilities of the Catholic youth groups which are recognised by the competent Church authorities be protected and that in the youth organisations established by the state Catholic young people are guaranteed the fulfilment of their religious duties in a worthy manner and a religious-moral upbringing according to the principles of the Church. In promoting Catholic doctrine the press will face no restrictions. The Holy See consents that disagreements about obligations to pay money or its equivalent for religious purposes are be decided by the state authorities, without prejudice to the requirements of Sentence 2 of the Supplementary Protocol to Article 11. § 1, until there is an amicable new regulation, and indeed, if such a payment is claimed on the general basis of affiliation with a Church association, [it is to be decided] by the authorities of the state religion administration through the proper appeal process, otherwise by the civil courts. When there is danger in delay, an interim arrangement can be made, as set out in Sentence 2 of the Supplementary Protocol to Article 11. § 1. The existing norms in the Republic of Austria, including the Law of 31 December 1894, R. G. Bl. Nr. 7 ex 1895, with reference to the building and maintenance of the church and benefice buildings, as well as with reference to the financing of the various needs of the Church, remain, with the modifications stemming from this concordat, in force until a new regulation [is made] in consultation between the Church and state authorities. To Article 15. § 3. In this matter the costs of running the ordination offices are to be taken into account, insofar as their functions have not already been provided for, in proportion to the State’s financial resources. To Article 15. § 5. Cutbacks due to state finances will not be made without previous contact. To Article 22. §3. Herewith, among other things, the Laws of 7 May 1874, R.G.Bl. Nr. 50 and 51, are completely overridden. At the Vatican City, 5 June 1933. 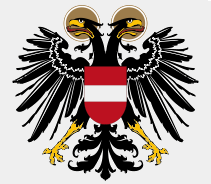 The Federal Government declares the above Concordat between the Holy See and the Republic of Austria for ratified and promises in the name of the Federal State of Austria its conscientiously fulfilment. In witness thereof the present ratification has been signed by the Federal President, and countersigned by the Federal Chancellor and by all the other members of the Federal Government and affixed with the seal of state of the Republic of Austria. The exchange of ratification instruments was made on 1 May 1934 and hence on this day the Concordat came into effect. which in ... on ... 1933 was signed between the Holy See and the Republic of Austria. The dignitaries concluding the Concordat have agreed that this Supplement be kept secret. 1. The Holy See will make arrangements so that within five days of a marriage the clerics will undertake the notification of the authorities of the Federal State of Burgenland necessary for the conduct of the state registers there. 2. In the case of a change in the present Austrian military system in the sense of introducing general conscription, the call-up for military service of clerics and candidates for the clerical calling will be regulated in consultation with the Holy See in the sense of the Draft of this Concordat of 10 September 1931, Number 2024/1931, submitted to the Federal Government with a note from the Secretary of State of His Holiness.